Did your prior training leave you with a false sense of security? Do you think you are prepared for potential negative confrontation? Would additional training give you more confidence to the above questions? If you answered “Yes” to any of these questions, contact us and ask a Total Training Solutions Group, Inc. Instructor to help you prepare to respond to any challenge. Our courses are success driven with fees that are reasonable. 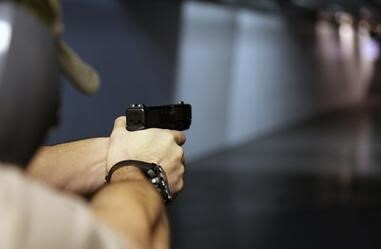 Our instructors have years of experience in all aspects of firearms training and are accredited "Firearm Instructors". Customary courses in Law Enforcement Firearms Training and Advanced Firearms Training. Our instructors are not “Ego Driven” or “Range Commandos”. They are competent and aim towards the student’s success. Total Training Solutions Group, Inc. believes in practical instruction which can be incorporated into each student’s daily life. These customized techniques will help build confidence the student's need to feel comfortable in decisions they will make in regards to their own personal defense in daily situations. Courses specific for senior citizens. Courses specific for persons with physical impairments. No longer should you feel like you are not prepared. No longer should you feel like you are helpless or scared. Our Live Fire courses are challenging and success driven. They are designed to build a greater appreciation and confident relationship with you and your personal firearm. Our “Laser Shot” judgmental shooting simulator is a state of the art firearm simulator used by numerous law enforcement agencies along with our military. We have customized it to civilian designed scenarios. This dynamic teaches the ability to make confident decisions of whether to “Shoot or Don’t Shoot” in real life environment. Our “Force on Force” training dynamically reinforces your ability to be successful in negative confrontations. We use state of the art equipment and “Marking Rounds” which enhances a reality based training model. Our Instructors are certified through the National Safety Council to provide personal and occupational certification training. Whether personal training or corporate training events, we will travel and bring the classroom training to your location. We are approved for Security Guard Certification & Armed Security Guard Certification with custom classes for those who work in the Armored Car Industry in the following States.